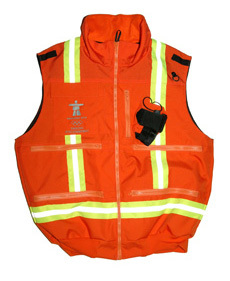 This vest was originally designed for use at the 2010 Vancouver Winter Games. 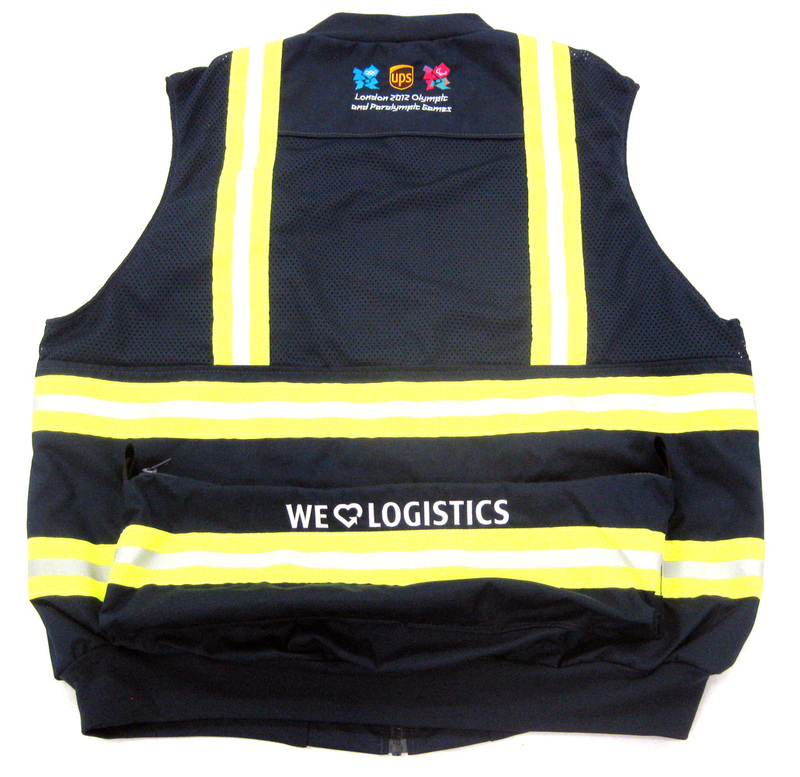 Since then, safety requirements around the areas have changed so that garments need more visibility. 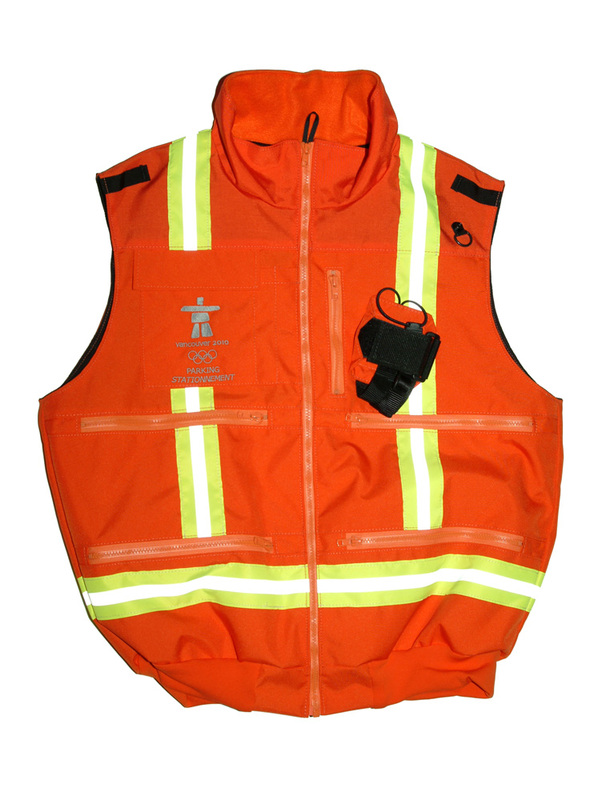 We have modified the traditional Maintenance Vest to have about 250 sq in. 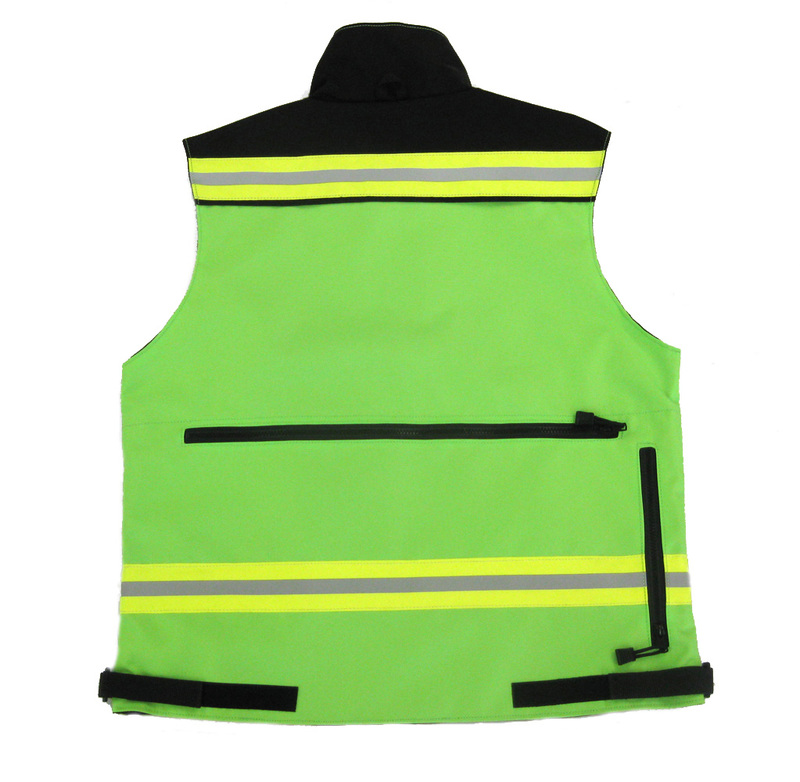 of day/night reflective tape while keeping all the usual features. 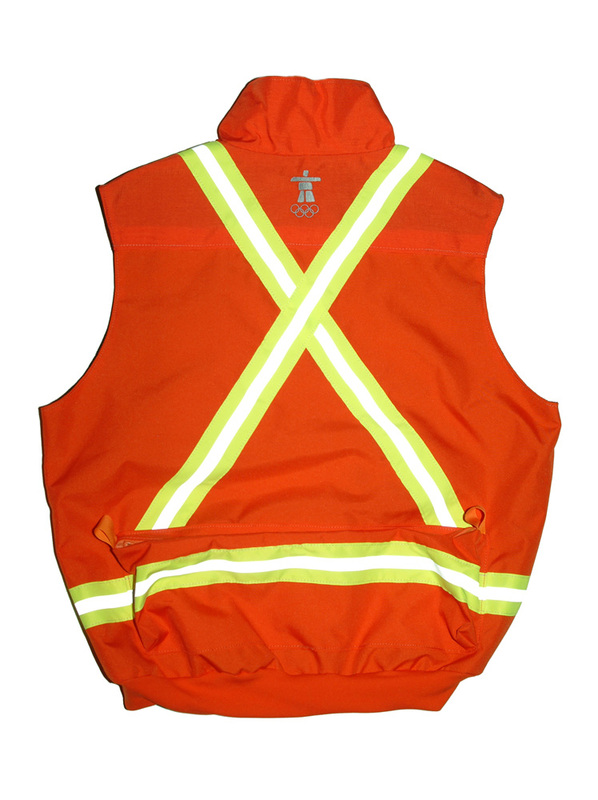 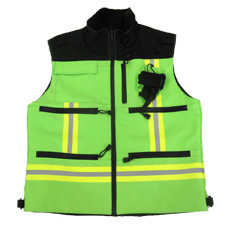 Our most popular vest design is now available in bright colors with about 250 sq in. 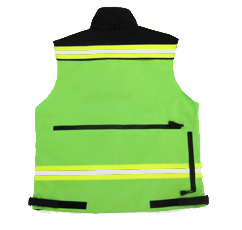 of day/night reflective tape for maximum visibility. 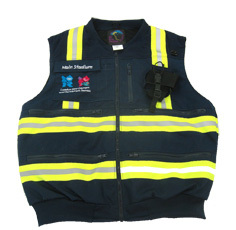 Since visibility is important for summer crews too, the standard Maintenance Vest has been modified to replace as much of the solid fabric areas as possible with breathable mesh. 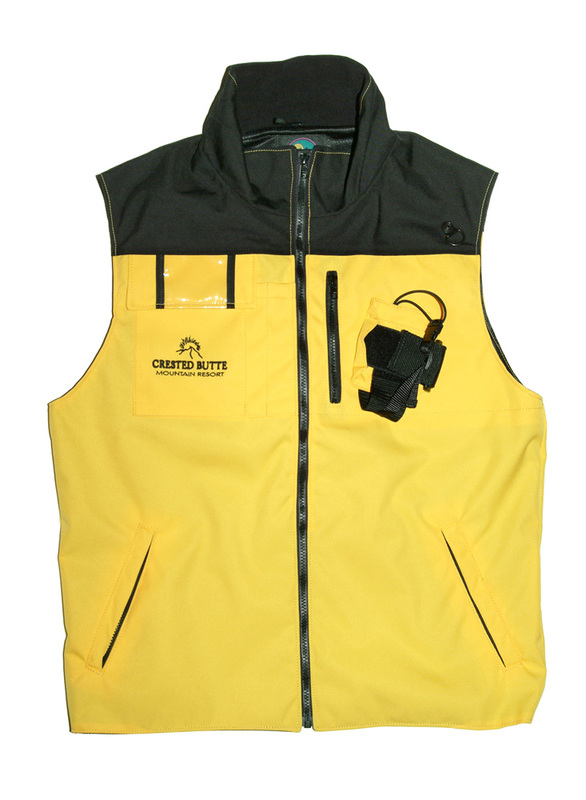 The critical pocket areas and radio harness carrier are still made of durable 500 denier Cordura. 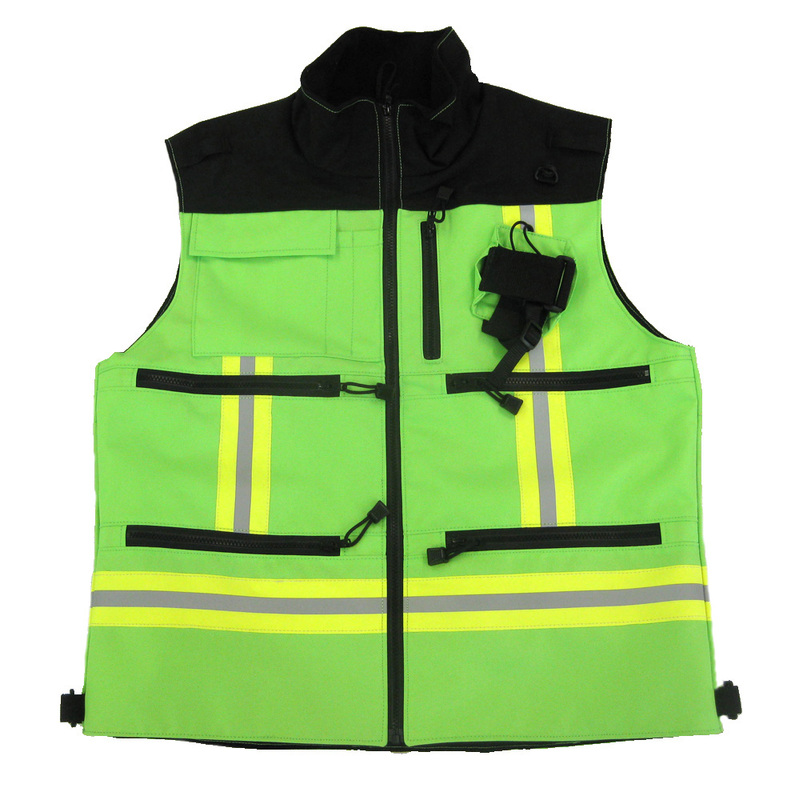 Ski Area Supplies Inc., located in Boulder, CO., manufactures and sells ski patrol clothing and apparel, ski resort employee uniforms and packs, and search and rescue rugged outdoor wear, including ski jackets, ski pants, vests, bibs, overalls, and fleece shirts. 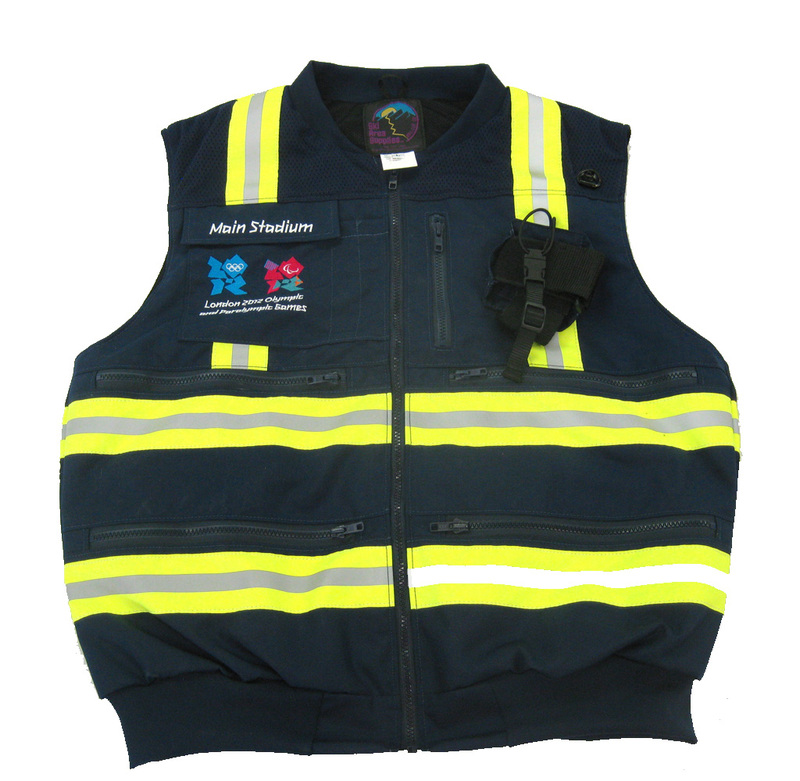 Our supplies include ski patrol belt packs, radio cases, oxygen rig packs, tool packs, etc. 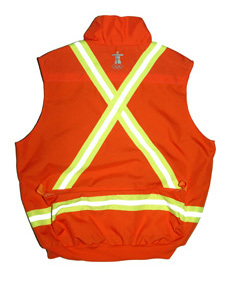 We also custom-make clothing and sporting goods as needed. 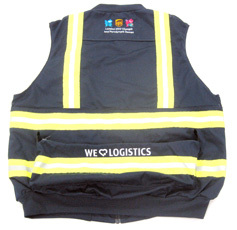 All products made in the USA. 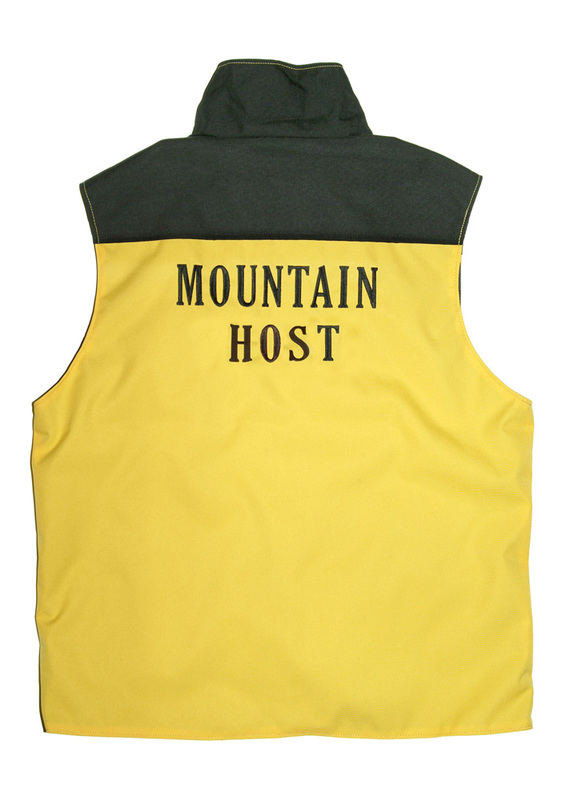 We are located in Boulder, Colorado, and serve all Colorado cities and counties including Boulder, Denver, Fort Collins, Lyons, Louisville, Lafayette, Longmont, Superior, Erie, Niwot, Littleton, Highlands Ranch, Centennial, Arvada, Broomfield, Northglenn, Thornton, Golden, Wheatridge, Lakewood, and many more. 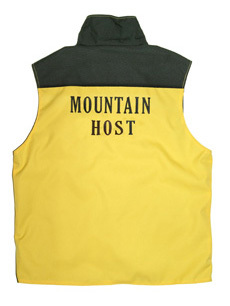 © 2010 Ski Area Supplies, Inc., all rights reserved.